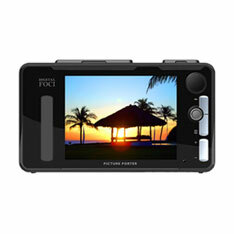 The Digital Foci Picture Porter Elite can be the ultimate portable storage device for digital camera users. It provides an essential storage space for your precious digital pictures and allows you to keep your digital camera memory always available to snap away new pictures. Storing and downloading the files is as easy as inserting the memory card of your camera on the Picture Porter Elite where the photos can be copied and archived directly to the built-in hard drive from the memory card. The Digital Foci Picture Porter Elite comes in 40GB, 80GB, 120GB, and 160GB models that provide you with varied choices for your different storage needs. The Picture Porter Elite also works with al popular media card formats including CF I/ II, MD , MMC, SD/HC Card, Memory Stick, MS PRO, MS Duo, MS PRO Duo, and xD-Picture Card. It also comes equipped with a large LCD display that allows you to inspect the photos and select which ones you would want to keep and which ones to replace. The Picture Porter Elite also comes with a bonus. 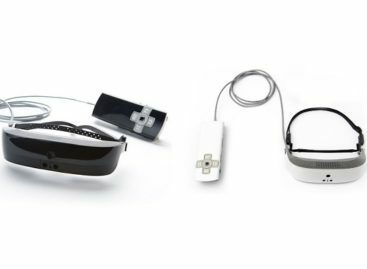 It also is a portable entertainment system where you can also download, store and play your video and audio files. You don’t have to bring around a heavy laptop with you wherever you go. The Picture Porter Elite can be lighter and more convenient alternative that you can bring along with you.